Updated Saturday February 16, 2019 by North Carolina Dixie Youth Baseball. As of July 1, 2018, I am updating this website first, but will continue to update the ETeamz site also. Please click the "NC HOME" tab at the top of this page to view more historical files in Eteamz. Please call me at 434-942-4992 or email me at cwrenn6865@aol.com, if you need assistance. Please be sure to read the Handouts and News by clicking on "Handout" or other links to the left side of this page. You will also want to visit the calender. You are welcome to post news items from your league or make comments in the guestbook. However, the guestbook is not to be used for making negative comments towards DYB officials or anyone else. It is not for opinions. If anyone has a complaint or concern about your league or DYB, please call your District Director. The District Director's information is under the District and Director Information link on the left side of the website. If you have a concern about your District Director, you may call me (Carey Wrenn, the State Director). If the complaint is about me, please call me or Wes Skelton, the Commissioner of DYB. Please click on the Facebook Icon on this page to visit our Facebook page. "Train up a child in the way he should go and, when he is old, he will not depart from it". More information will be presented at the NC Dixie Baseball/Softball State Meeting on January 30, 2016 and on this site at a later date. You can visit the North Carolina Dixie Youth Baseball Facebook site by going to Links on the left side of this site. 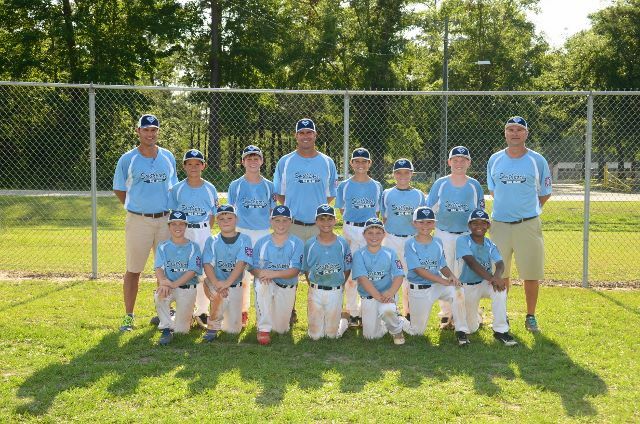 The North Carolina Coach Pitch team (West Stanly) moved to 2-0 by defeating Mississippi 22-13 on Monday and South Carolina 6-5 on Tuesday. The shedule was disrupted by rain on Monday and early Tuesday. NC will play resume play on Wednesday when they meet Georgia at 1:30pm, Florida at 4:30pm and Texas at 7:30pm. The North Carolina Machine Pitch Team (West Robeson) moved to 0-2 by losing to Alabama 16-6 on Monday and to Texas 14-4 on Tuesday. They willl resume play on Wednesday when they meet Mississippi at 1:30pm, Arkansas at 4:40pm and North Myrtle Beach (host team) at 7:30pm. All of the brackets are posted updated as of 7/25. All tournaments are completed. West Stanly won the AA tournament. Oxford won the Buddy Burney Sportsmanship Award. Southport-Oak Island won the AAA tournament. Burke County won the Ken Britt Sportsmanship Award. Coats won the Majors Small League tournament. Wallace won the Sportsmanship Award. Hope Mills won the Ozone tournament. Lumberton won the Sportsmanship Award. Dunn won the Majors tournament. Elizabethtown won the Charles Lennon Sportsmanship Award. See Handouts for bracket update. West Stanly defeated West Robeson 10-0 to win the AA State Championship. West Stanly will represent NC in the Dixie Youth Baseball Coach Pitch World Series and West Robeson will represent NC in the Dixie Youth Baseball Machine Pitch World Series in North Myrtle Beach, SC starting on August 2. Oxford won the Buddy Burney Sportsmanship Award. Southport-OI defeated South Park 9-7 in the second game of the Championship Series to win the 2015 AAA State Tournament. 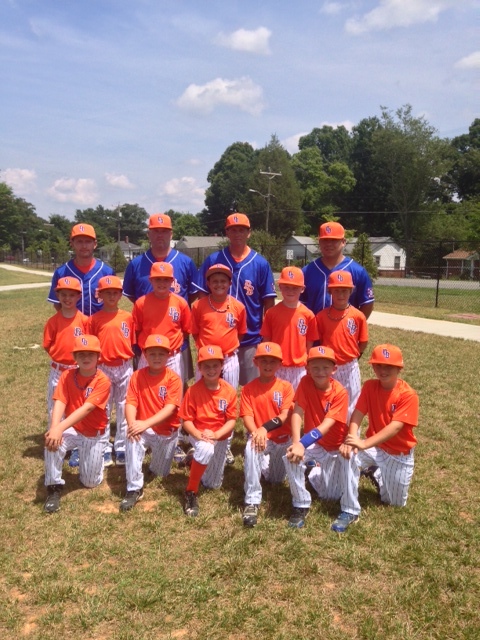 Southport-OI will represent NC in the Dixie Youth Baseball AAA World Series in Lexington, SC beginning on August 8. Burke County won the Ken Britt Sportsmanship Award. Coats defeated Wallace 6-3 to win the Small League State Tournament. Wallace won the Sportsmanship Award. Hope Mills defeated West Chatham 8-2 and 14-11 to win the 2015 Ozone State Tournament in Eden. Lumberton won the Sportsmanship Award. Dunn defeated Burgaw 11-1 and 8-2 in the final two games of the best of 3 series to win the 2015 Majors state tournament. 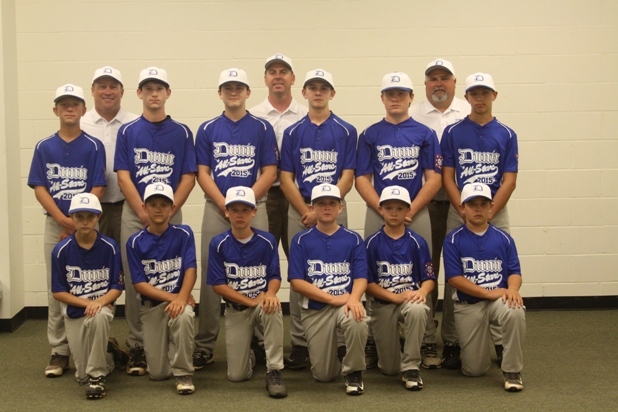 Dunn will represent North Carolina in the 2015 Dixie Youth Baseball World Series in Lexington, SC begining on August 7, 2015. The schedule for the 2015 Scholarship Practice Games are posted under Handouts. Darrell Murray of South Park Dixie Youth (Charlotte) has been inducted into the Danny Jones Club. 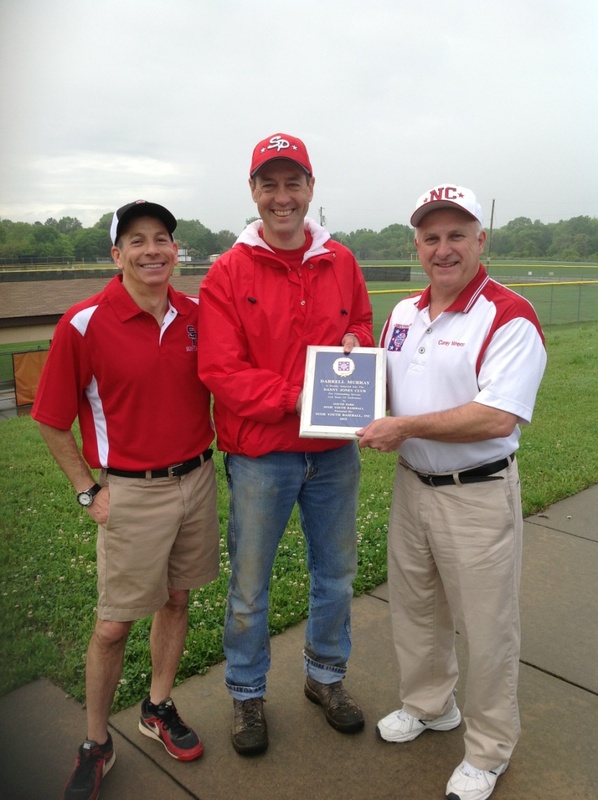 Marray was nominated by the South Park league and approved by the NCDYB State Board. The league nominated Murray for the outstanding contributions he has made to their league since he became involved in the league 9 years ago. Murray is responsible for maintaining the fields and has transformed them into some of the best in the area. In addition, he has served (and continues to serve) in significant leadership roles during his tenure. Because of his outstanding leadership, some of the positions have trasnformed from temporary to a more permanent status. We congratulate Darrell on becoming a member of the Danny Jones Club. The picture below shows State Director Carey Wrenn presenting the award to Darrell Murray. Danny Jones Club member Larry Brown is to the left of Murray. The Danny Jones Club is named after one of the four incorporators of Dixie Youth Baseball and who also was the first Commissioner of Dixie Youth Baseball. The local league nominates the person, the NCDYB State Board of Directors approves the application and the National Board of Directors ratifies the selection. Please see Handouts for the application and more information. 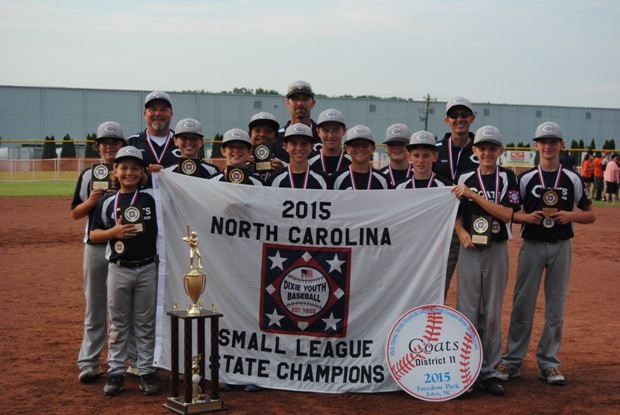 The NC Dixie Youth State Board has approved a Majors Small League state tournament for 2015. This 10 team state tournament will be held in Eden in conjunction with the 2015 Ozone state tournament. 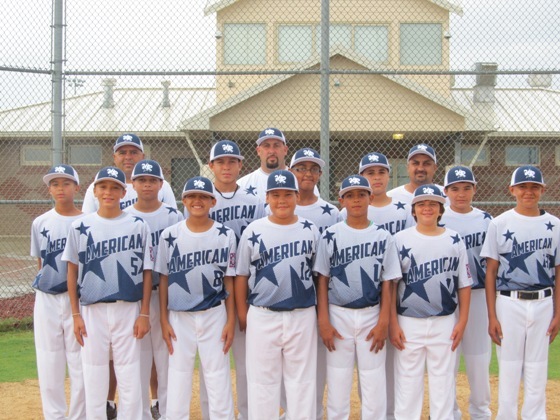 A Small League is defined as a league that has less than three 12U teams, either Majors or Ozone. Note: the State Director and/or the State Board has the authority to rule a league ineligible to be defined as a Small League if it is determined the league could have had 3 or more 12U teams. This will not affect the District Tournaments. A Small League will still participate in the district tournament. If a Small League wins or qualifies for the Majors state tournament in Cerro Gordo or the Ozone state tournament in Eden, it will advance to one of those tournaments with a chance to advance to a Dixie Youth World Series. A Small League that does not advance to the Majors or Ozone state tournament will qualify for the Majors Small League state tournament if it has the best record among all of the Small League teams in the district tournament. In some cases, two Small League teams may advance from the same district. The state champion of the Majors Small League state tournament will not advance beyond the state tournament. This will be discussed at the State Meeting on January 24 and at the district workshops. The Scholarship Games invitations and registrations are posted under Handouts on the left portion of this page. The Charles Lennon Scholarship games for regular season teams will be held in Elizabethtown and Clarkton on March 27-29. The deadline for registering for the games is March 16. The Buddy Burney Scholarship games for AA tournament teams will be held in Clarkton on June 12-14. The deadline for registering for the games is June 1. Stanley will also be hosting AA/AAA tournament teams on June 12-14. The deadline is also June 1 for the games in Stanley. The Majors/AAA Scholarship games for Majors/AAA tournament teams will be held in Evergreen and Lumberton on June 19-21. The deadline for registering for the games is June 8. West Stanly will host Ozone/Majors/AAA games in Locust on June 19-21. The deadline is June 8 for registration. The NCDYB State Board of Directors, composed of the 4 National Board members from NC, the Assistant State Director, and the 10 District Directors are given authority by the National Board of Directors to make certain rulings. The Handout link on the left of this page has a section (State Board Rulings) for these rulings. The 2015 North Carolina Dixie Baseball/Softball state meeting will be held on January 24 at the Hampton Inn & Suites in Aberdeen/Southern Pines. This is the same site as last year. The information letter and registration can be found under the "Handouts" link. Contact Carey Wrenn, State Director at cwrenn6865@aol.com or at 434-942-4992 with questions or for more information. The sites of the 2015 North Carolina Dixie Youth Baseball have been selected. West Robeson will host the AA tournament in Pembroke starting with the Opening Ceremony on July 3. The tournament will be July 4-7. Lillington will host the AAA tournament with the Opening Ceremony on July 10. The tournament will be July 11-18. Eden Parks & Recreation will host the Ozone tournament with the Opening Ceremony on July 17. The tournament will be July 18-23. Columbus County will host the Majors tournament in Cerro Gordo with the Opening Ceremony on July 17. The tournament will be July 18-25. The AA World Serieses (Coach Pitch and Machine Pitch) will be in North Myrtle Beach, SC on August 2-6. The AAA, Majors and Ozone World Serieses will be in Lexington, SC on August 8-13. News articles listed below this area are 2014 and earlier information. All 2015 information is listed above this section. 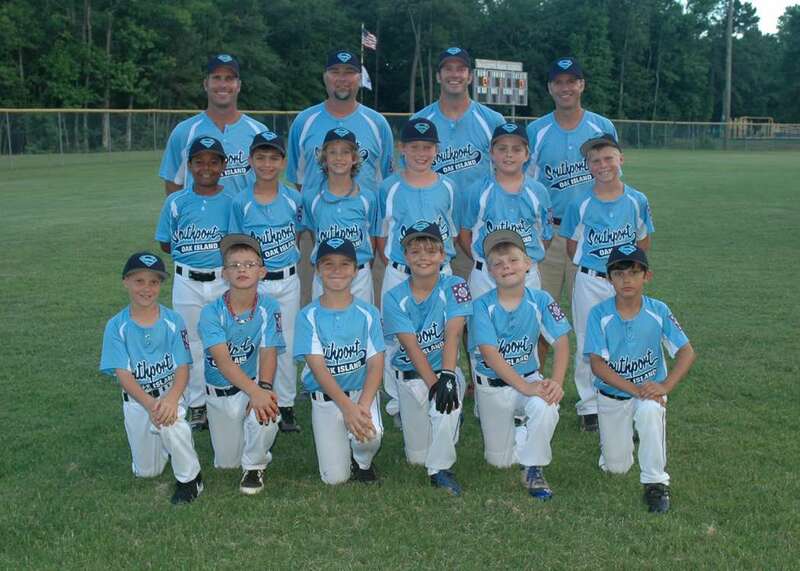 Of the five teams that represented North Carolina in Dixie Youth World Serieses, three finished as National Runner-Up and one finished in third place. Dallas (Ozone), West Robeson (Majors) and Youngsville (AA Machine Pitch) finished as a Runenr Up in their tournament. Hope Mills finished third in the AAA World Series. Overall, the NC teams finished with a record of 19-11, which is very good. We congratulate all of the teams that respresented NC in a Dixie Youth World Series. West Robeson defeated Dunn by scores of 5-4 and 4-2 to win the 2014 North Carolina Dixie Youth Baseball Majors state tournement. 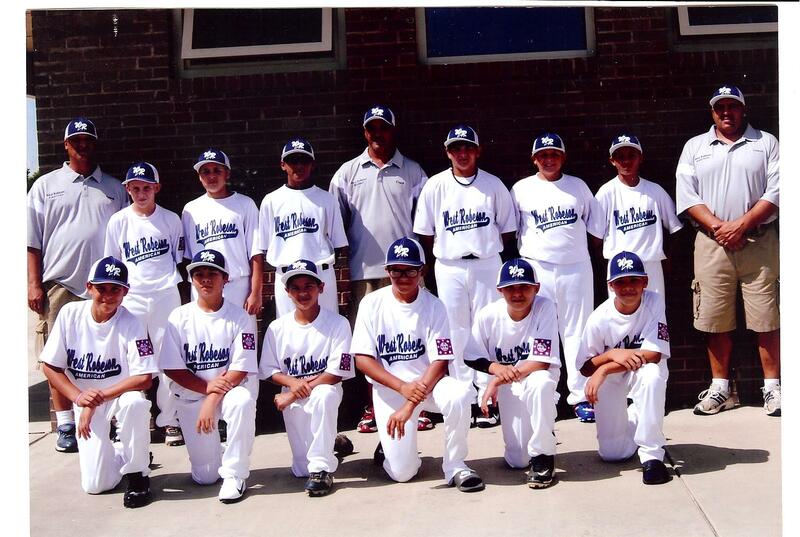 West Robeson will represent NC in 2014 Dixie Youth Majors World Series in Lexington, SC on August 8-14. Youngsville won the Sportsmanship award. Dallas defeated Hope Mills American 16-15 in 7 innings and 8-7 to win the 2014 North Carolina Dixie Youth Ozone tournament in Richfield. Dallas will represent North Carolina in the 2014 Dixie Youth Ozone World Series in Lexington, SC August 8-14. Dallas won the the NC championship and the DYB World Series in 2013. Boger City won the Sportsmanship Award. Hope Mills National defeated Dallas 7-1 and 3-1 in the Championship Series to win the 2014 North Carolina Dixie Youth AAA State Tournament in Eden, NC. 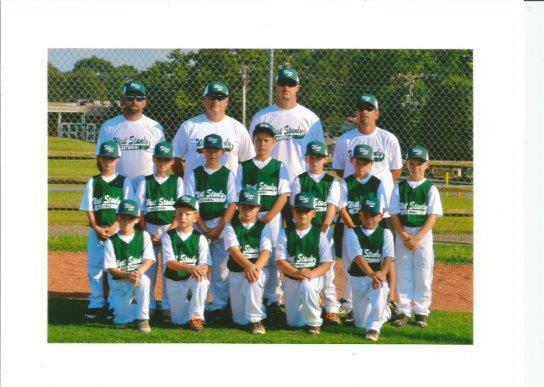 Hope Mills will represent NC in the Dixie Youth AAA World Series in Lexington, SC on August 8-14. Mt. Holly won the Ken Britt sportsmanship award, edging out several other outstanding teams. North Carolina (Youngsville) finished as the runner up in the 2014 Dixie Youth AA Machine Pitch World Series held in Texarkana, Arkansas. Youngsville was unfeated with a 5-0 record in pool play and went 2-2 in the bracket play. They also won the Around the Horn competition and the home run derby. In the Coach Pitch World Series, North Carolina (Dallas) went 2-3 and did not advance to the bracket play. We congratulate both of these teams on a great season. The pairings for the first round of the Majors state tournament in Dunn are completed. All other state tournament brackets are completed and are also under "Handouts". Both AA World Series can be viewed on Jock-Jive, an internet streaming service. Youngsville went 5-0 in its pool play. They advanced to the 4-team double elimination finals, where they won the first game, but lost the second game. They will resume play on Monday in the losers bracket. If they win the first game on Monday, they will play the only undefeated team, Florida, for the championship, but will have to defeat Florida twice to win the Championship. Dallas went 2-3 in its pool play and did not advacne to the championship bracket play. After a spectacular Opening Ceremony on Friday July 4 that featured a great fireworks show and a speech by special guest Derrick Whittenburg (member of the 1983 NC State University National Championship basketball team), the tournament was filled with exciting ballgames, good sportsmanship and an exciting Championship Series with Dallas winning 4-3 twice to win the best of three series to become the AA state champions. 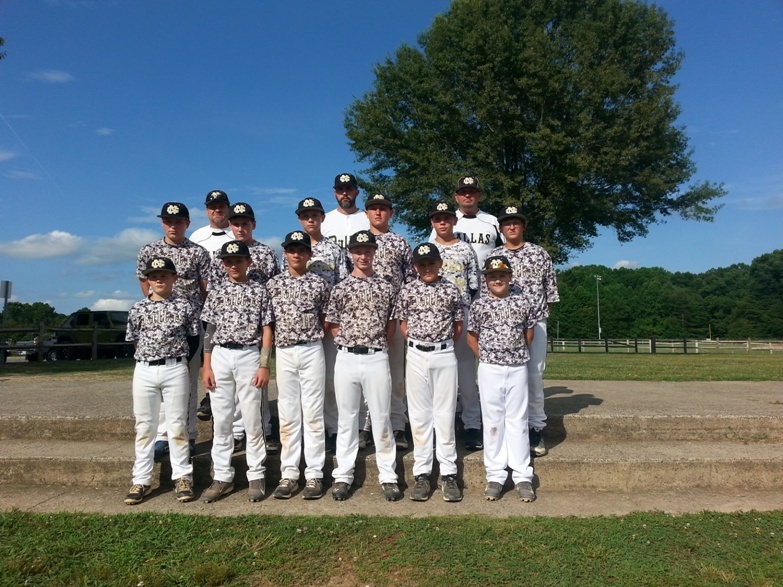 Dallas will advance to the AA Coach Pitch World Series in Texarkana, Arkansas on July 18. 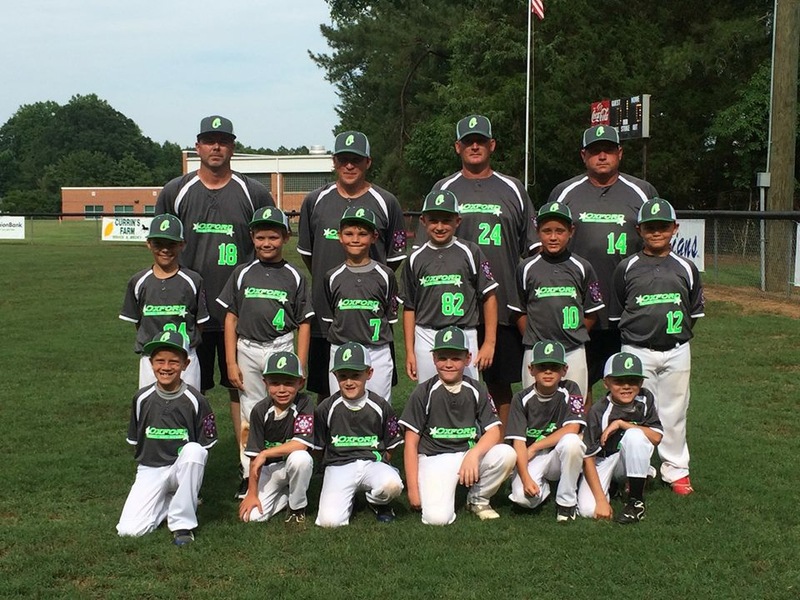 Youngsville will advance to the AA Machine Pitch World Series also in Texarkana on July 18. Games can be watched on Jock-Jive, an internet streaming service. Leland won the Sportsmanship Award. There were numerous teams in the running for the Sportsmanship Award. See the Handout section for all of the results of the tournament games. Ozone tournament brackets changed effective July 3. Due to Eden Parks & Recreation not being able to field a team, we will change the top bracket of the Ozone tournament to a 6-team bracket. Reidsville will take the slot previously held by Eden Parks & Rec. The revised bracket is posted under Handouts. There are 4 letters to Managers of State Tournament teams included in the Handout Section titled "State Tournamet Letters for Team Managers, one letter for each division. These letters will also be delivered to the managers by the District Director. NOTE: There have been some errors made in previous postings and some changes made with new postings. I want to thank all who have pointed out the errors. Majors and Ozone (12 and under) -- July 25. ADDTIONAL NOTE ON AA TOURNAMENT PLAY IN NORTH CAROLINA: The Commissioner has granted North Carolina permission to use the 7-run limit per inning in AA play for 2014. This is in keeping with what NC has used in the past years. The 7-run rule will be in effect for the first 5 innings only, ie, the 6th inning will not have a run limit. This will allow the trailing team an opportunity to win the game. The 15-run rule and the 10-run rule remain in effect, thus a game could end before the getting to the 6th inning. I have set up a new section under "Handouts" for rulings the Commissioner has made since the printing of the rulebook. Please print these rulings and keep them with your rulebook. The ten district workshops in NC are being held during the month of February. The schedule is posted under the Handouts link to the left portion of this page. League leaders are urged to attend. Coaches and parents are welcome to attend. The revised schedule, as of 6-17-2014 for the Scholarship Practice games involving AAA & Majors teams on June 20-22 in Cerro Gordo and Clarkton is posted under Handouts. The admission price is $3 for ages 13 and over. There is no charge for ages 12 and under. The net proceeds from the gates will go into the scholarship fund. in 2014, Dixie Youth Baseball provided $150,000 in scholarhips to high school seniors that played Dixie Youth Baseball. I will update this page tonight with the addresses of the parks in Cerro Gordo and Lumberton. The District Information Link on the left side of the page shows the District Directors. Please click on their name to see the counties included in their district. The AA, AAA, and Majors state tournament brackets are posted under "Handouts" on the left side of the page. Theh Ozone bracket will be posted by April 15. The 2014 NC Dixie Baseball/Softball State Meeting will be held on January 25, 2014 at the Hampton Inn & Suites in Aberdeen/Southern Pines. Additional information and the registration form can be found under the "Handouts" link. The meeting will begin at 9am and will adjourn around 2pm. The deadline for preregistration is January 22. The four 2014 NCDYB state tournament hosts have been selected. Stanley will host the AA state tournament beginning on July 4. Eden Parks & Recreation will host the AAA state tournament beginning on July 18. Dunn will host the Majors state tournament beginning on July 25. North Stanly will host the Ozone state tournament in Richfield beginning on July 25. 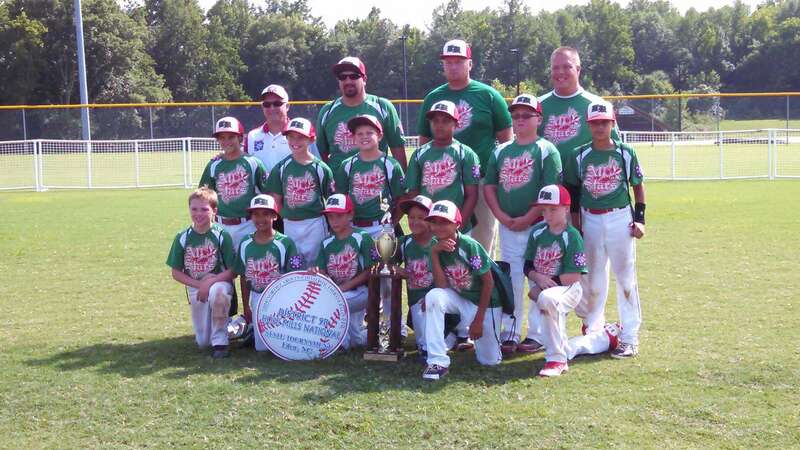 North Carolina (Dallas DYB) defeated Laurel-Jones County DYB 7-3 to win the 2013 Dixie Youth Baseball Ozone World Series. This is the second consecutive year that NC has won the Ozone World Series. Preston Conner from NC won the batting championship in the Ozone Series. North Carolina's Majors (West Robeson) and AAA (Stanley) teams both finished in the top six teams in their Series by going 2 and 2 each. Despite losing their first game of the tournament, West Robeson DYB won the Dixie Youth Region 1 AA by defeating Crockett, TN 5-4. This is the second consecutive year West Robeson has won the Region 1 tournament. Southport-Oak Island DYB won the Sportsmanship Award. 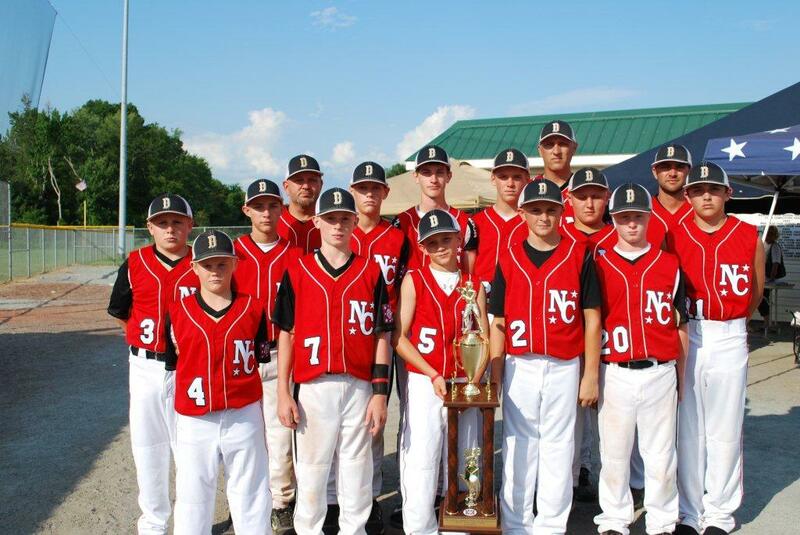 Southport-Oak Island went undefeated to win the 2013 North Carolina Dixie Youth AA State Tournament in Hope Mills, NC. They defeated Stanley 10-4 in the championship game on Wednesday. Southport-OI will advance as the #1 seed from North Carolina in the Dixie Youth Baseball Region 1 AA tournament in Rockwood, TN starting on July 26. The other NC representatives in the Region 1 tournament will be: Stanley as #2, Boger City as #3 and West Robeson National as #4. A bracket will be posted under "Handouts". Reidsville won the Buddy Burney Sportsmanship Award. We want to thank Hope Mills DYB for hosting the tournament and for doing a good job. Stanley won the AAA State Championship by defeating East Duplin 6-3 in Game 3 of the Championship Series. East Duplin won Game 2 by score of 6-5 earlier on Saturday,. Stanley defeated East Duplin on Friday. 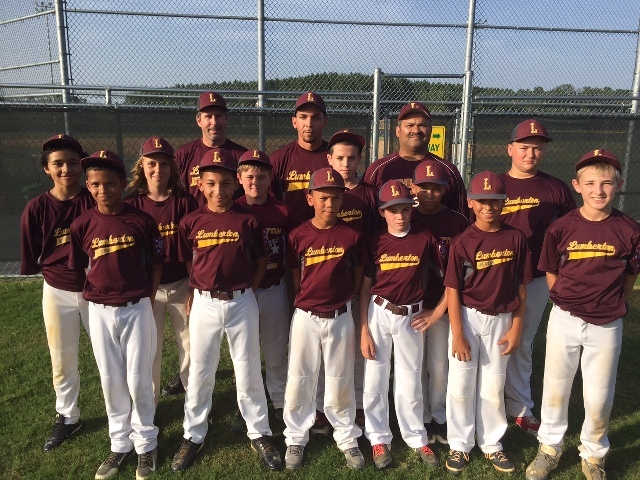 Stanley will represent NC in the AAA World Series in Laurel, Mississippi starting on August 2. Southport-Oak Island won the Kenneth Britt Sportsmanship Award. Stanley served as the host for the AAA tournament. They did a spectacular job. David Thompson, the great basketball player that led NC State to the 1974 National Championship, who also was the NCAA player of the year in 1975, and then became an MVP in the NBA, gave the keynote speech during the Opening Ceremony. His speech was followed by a 20-minute fireworks show. Dallas Dixie Youth went undefeated to win the 2013 North Carolina Dixie Youth Baseball Ozone state tournament held at Freedom Park in Eden, NC. 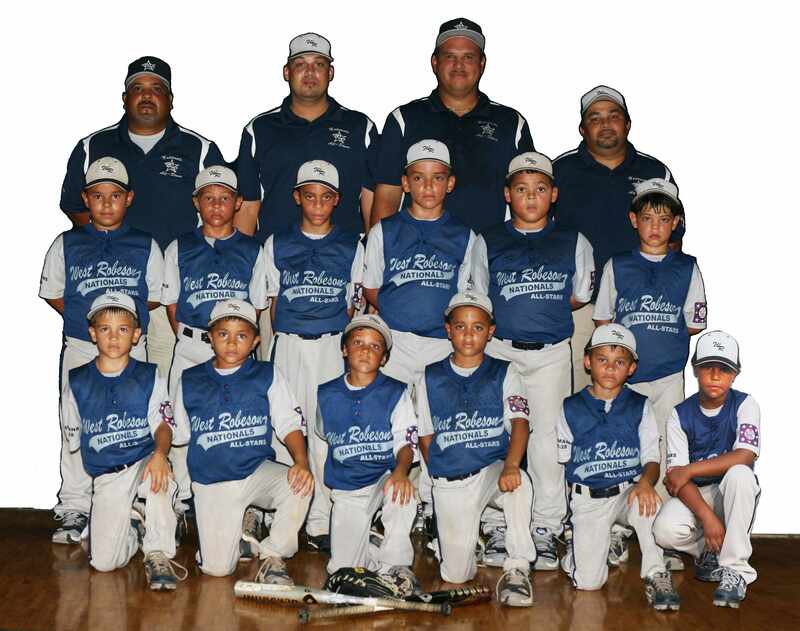 Dallas will represent North Carolina in the Dixie Youth Ozone World Series in Laurel, Mississippi starting on August 2. Eden YMCA won the sportsmanship award. We want to thank the City of Eden and the Eden Recreation Department for hosting the tournament and being a good host. West Robeson American DYB won the 2013 North Carolina Dixie Youth Baseball Majors State Tournament by defeating Columbus County 4-3 in the second game of the best-of-three Championship Series in Lumberton, NC West Robeson American DYB will represent North Carolina in the 2013 Dixie Youth Majors World Series in Laurel, Mississippi beginning on August 2. 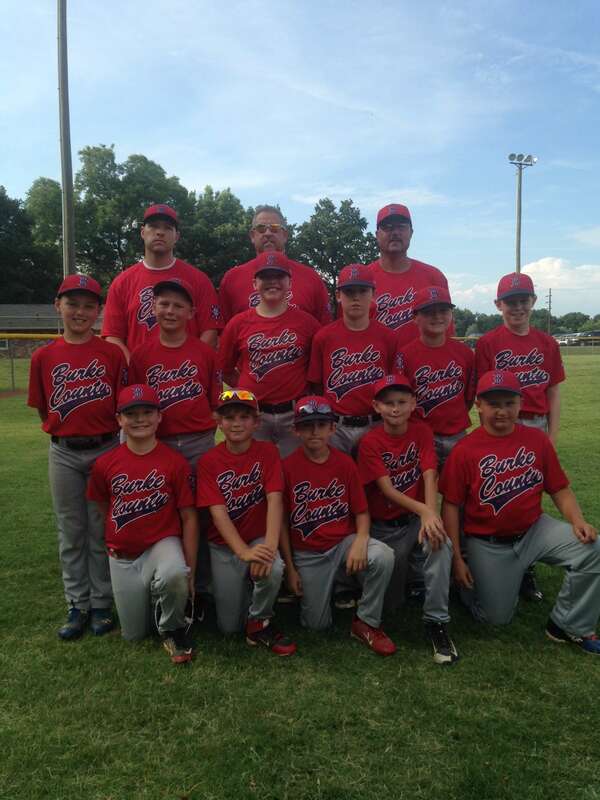 South Park DYB (Charlotte) won the Charles Lennon Sportsmanship Award. We want to thank Lumberton DYB for being a wonderful host. The deadline for applications to umpire in the 2013 Dixie Youth World Series was May 1. The deadline for applications to call in a 2013 state tournament was June 1. Applications can be downloaded from this website under the Handouts link (Umpires Section). North Carolina has five (5) umpires approved to call in the AAA/Majors/Ozone World Series. Wayne Casteen, Assistant State Director and Umpire in Chief for NCDYB, has announced a new online registration and publication of the NCDYB Umpire Manual. Please see Handouts section for the Umpire Manual and to access the online registration. The Danny Jones Club, named after the first Commissioner of Dixie Youth Baseball, is an excellent way to recognize and reward leaders of your local league. Please send "handouts" for the application and other information about this great program. The deadline for mailing the 2013 Dixie Youth Baseball Scholarship application is FEBRUARY 1 this year. In past years the deadline was March 1. There are only 18 DAYS left to get them postmarked (as of the date this item is posted). North Carolina (Hope Mills American DYB) won the 2012 Dixie Youth Baseball Ozone World Series with a 1-0 victory over Florida on Thursday. Hope Mills went undefeated in the tournament with the 1-0 victory in the Championship Game being the only close game for them. (See the team picture under the Ozone State Tournament Section below). North Carolina remained undefeated and advanced to the Championship Game with a 13-3 win over Texas on Wednesday. NC will face Florida on Thursday at 10am. NC needs to win once to claim the championship, while Florida must beat NC twice to win the championship. 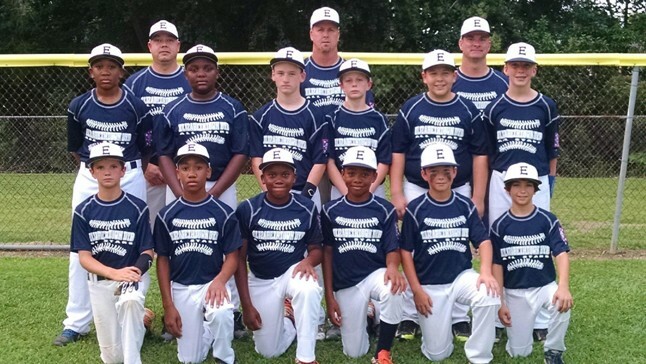 NC became the only undefeated team with an 12-1 win over Florida in the 2012 Dixie Youth Baseball World Series in Cleveland, Mississippi on Tuesday. Earlier, North Carolina defeated the Host Team (Cleveland, Mississippi) 13-1 in their first game of the 2012 Dixie Youth Ozone World Series on Saturday. On Sunday, NC defeated the Mississippi state champions 15-0. The defeated Texas on Monday. See the bracket under "Handouts". 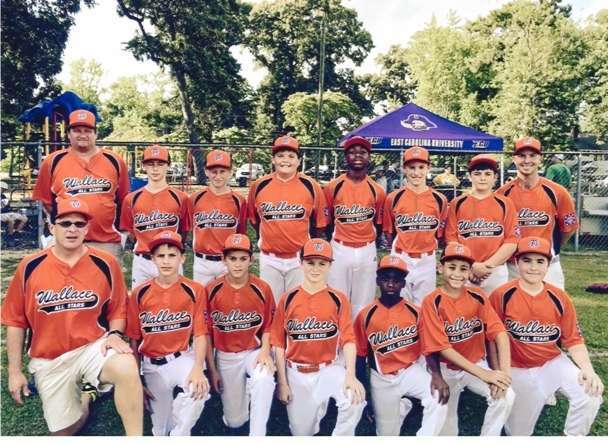 West Robeson DYB won the Dixie Youth Baseball AA Region 1 tournament in Powhatan, Virginia with a 16-9 win over Maple Park, SC. Reidsville (NC) finished in third place while Kannapolis finished in 5th place out of the 18 teams in the tournament. Please see the Handouts for a letter on the Region 1 AA Tournament in Powhatan, VA and the tournamament bracket. Marsha Burney of Clarkton was inducted into the Danny Jones Club during a ceremony in Clarkton on April 21. She was presented the award by State Director Carey Wrenn who told those in attendance of Burney's many contributions to Clarkton DYB and Bladen County DYB. These included helping build the outstanding baseball complex in Clarkton, along with coaching, serving as the league president, and helping several former players with winning Dixie Youth scholarships. Marsha becomes the 24th inductee from North Carolina in the 42 years of DYB participation. The Danny Jones Club is named after the first commissioner and one of the incorporators of Dixie Youth. The award is the highest honor recognized by Dixie Youth Baseball and is given to those who have provided outstanding service and dedication to a local DYB league. The award requires a nomination by the local league and must be approved by the State DYB Board of Directors and ratification by the National Board of Directors. Tom Little, former District 4 Director and a Danny Jones Club Member, passed away on December 19 at the age of 81. He was survived by his wife of 59 years, Donna and two children. 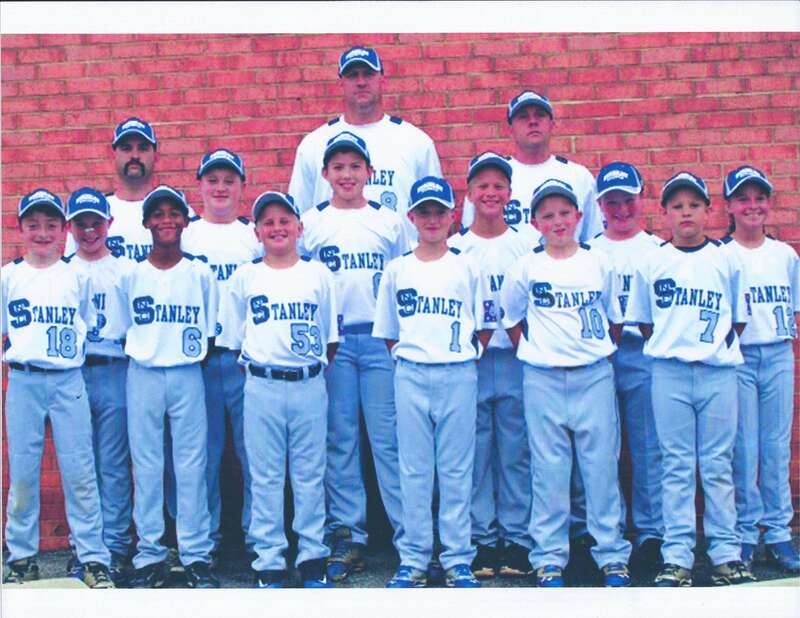 Tom was instrumental in having South Park Youth Association join Dixie Youth Baseball. One of the fields at the SPYA complex is named in honor of Tom. Tom was a dedicated Christian. Tom will be missed by many. The State Tournament Umpire Applications have been added to the Handouts section. Lois Mobley of Rose Hill has been inducted into the Danny Jones Club by Dixie Youth Baseball. She was given the award in a surprise presentation on April 17 during the Opening Day ceremonies of the Rose Hill league. Lois has been the dedicated leader of the Rose Hill league for over 20 years. She was nominated by her local league and approved by the NC Dixie Youth State Board. We congratulate Lois on the deserved inclusion into the Club that is named after the first Commissioner and co-founder of Dixie Youth Baseball. Lumberton (NC) DYB defeated Georgia 8-5 and 11-8 to win the 2010 Dixie Youth Majors World Series. They will move on to represent Dixie Youth Baseball in the Baseball Alliance Series in Memphis, TN at the end of August. This is the 3rd DYB championship for North Carolina. Columbus County won in 1993 and Hope Mills won in 2006. Leland finished runner up in 2009. Lumberton had to come back through the loser's bracket after dropping a game to Louisiana on Monday in extra innings. John "Jay" Astoske of Southport-Oak Island DYB has been inducted into the Danny Jones Club. Jay has served in various capacities with the S-OI league, including president. The local league nominated Jay for induction into the club. The selection was approved by the NC Dixie Youth Board. Jay was presented a Danny Jones Club plaque at a AA tournament in Southport on June 18 by State Director Carey Wrenn, National Directors Ken Britt and Larry Rudisill and District Director Terry Lanning. 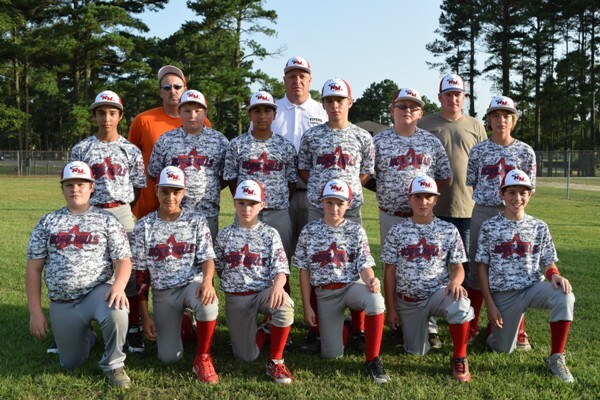 The National Board of Dixie Youth Baseball has selected Moore County Dixie Youth Baseball as the host league for the 2011 Dixie Youth Baseball Majors/AAA World Series. The tournament will be played at Hillcrest Park beginning on August 13, 2011. This will be the third World Series held in North Carolina. Leland hosted the 1979 Series and Cumberland County hosted the 1985 Series. Billy Ransom, Moore County Parks and Recreation Director, and Beverly Stewart, with the Moore County Visitors Bureau, made an excellent presentation to the National Board of Directors in Laurel, Mississippi (site of the 2009 World Series) on Monday. The vote to award the Series was unanimous. Carey Wrenn, NCDYB State Director, indicates he wants to involve all of the North Carolina Dixie Youth leagues in this event. More information will follow throughout 2009 and 2010. 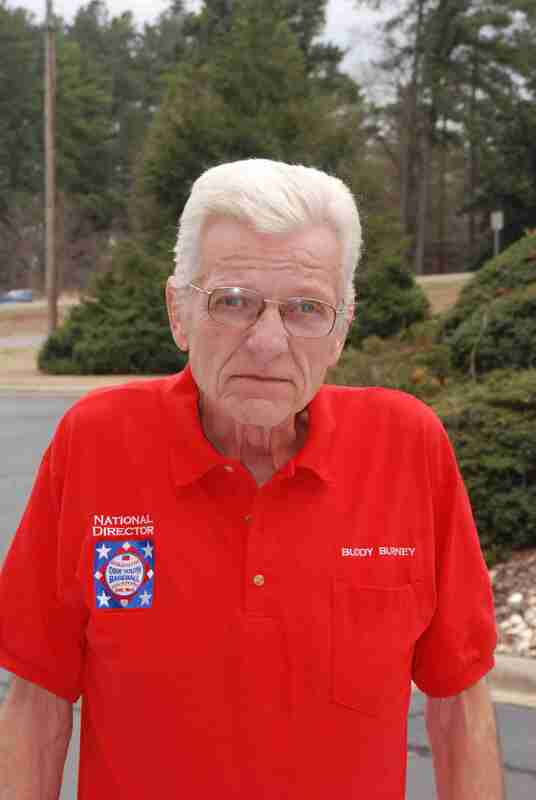 Buddy Burney, NC Dixie Youth Baseball National Director, passed away today, January 10, 2009 after a short battle with cancer. Funeral arrangments: There will be a vistitation from 4pm-7pm on Sunday, January 11 at the Bladen-Gaskins Funeral Home located on the corner of NC 242 and Martin L. King Drive about 2 miles south of Elizabethtown. From NC 87 turn south onto ML King Drive and go about a half a mile. From US 701 turn west onto NC 242 and go about one mile. The funeral will be at 2pm on Monday January 12 at the White Plains Presbyterian Church about 6 miles east of Clarkton. From the west, north and south, go to the intersection of US 701 and NC 211 in Clarkton. Travel east 5.9 miles until you get to the Emerson sign and turn north onto White Plains Church Road. Go 1.7 miles and the church will be on your right. From the east, traveling on NC 211, turn right onto White Plains Chruch road and then go 1.7 miles to the church. The family has requested that in lieu of flowers a contribution to the Dixie Youth Baseball Scholarship Fund be sent to Carey Wrenn, NC State Director at 190 Sage Lane, Madison Heights, VA 24572. Cards can be sent to the home at PO Box 668 Clarkton, NC 28433. The Buddy Burney Day (see below) will be held as planned on January 17, 2009. Buddy has served many capacities in Dixie Youth since the 1970s. He has been a District Director, Assistant State Director and National Director (since 1999). Buddy will me missed very much by NCDYB. As listed in other articles on this website, he was instrumental in establishing the Scholarship games. He helped schedule the games, he worked the gate, he helped line up umpires and did much more in the various sets of games held each year in Elizabethtown, Hallsboro and Clarkton (his home town). Buddy and I (Carey Wrenn) had a conversation in December. Buddy told me that he knew that Jesus Christ was his Saviour and that he knew that Jesus had died on the cross for him and that Jesus did arise from the grave and ascended into Heaven, where he (Buddy) will be with Him at the throne of the Father. While it is very sad news that we will not get to be with Buddy physically (we will be with him spiritually as we work and play this year), we can have joy that Buddy is in Heaven. Buddy was beloved by almost everyone he met. He loved helping others, particularly children of all ages. We ask that you pray for his family. He is survived by his wife, Leesa; a son, Frankie, who is a DYB District Director (wife Christie); two daughters, Corey and Casey; a sister, Geraldine; four brothers, Jim, Walt, Ronald, and Marvin; 3 grandchildren and many, many friends. The North Carolina Dixie Youth Baseball AAA state tournament championship trophy, won by Dallas this week, was named for named the Kenneth Britt Trophy, in honor of the long-time national director from North Carolina. Britt has served Dixie Youth for over 30 years in various capcities, including the last 24 as a National Director. He also holds the position of Vice President of the National Board of Directors of Dixie Youth Baseball, Inc. The surprise award was announced by State Director Carey Wrenn at the conclusion of the 2006 AAA state tournament in Clinton on July 29. The North Carolina Dixie Youth Baseball AA (coach pitch) Practice (Scholarship) Games have been named the "Buddy Burney Practice-Scholarship Games". These games are held in June of each year and feature AA (coach pitch) All-Star teams from around the state. The games are designed to allow tournament teams to have practice games against teams from other districts as they prepare to enter Dixie Youth tournament play. They also serve as a fundraiser for the Dixie Youth Scholarship Fund. Over $80,000 has been raised for the Scholarship Fund in the almost 20 years that NC Dixie Youth has been holding the games (including other sets of practice games). Buddy Burney was one of the originators of the various sets of practice games. Buddy has always had a particular fondness for the coach pitch division. His home league, Clarkton Dixie Youth, has hosted the AA games since their inception a few years ago. The Practice Games for regular season teams, which is held in April of each year in Elizabethtown and Clarkton, are named the Charles L. Lennon Games--after the former National Director (Mr. Lennon). NCDYB also holds practice games for the Majors and AAA divisions tournament teams in Hallsboro, Clarkton and other locations each June. All of the games serve as fundraisers for the Scholarship Fund. The Sportsmanship Award given at the NCDYB AA State Tournament is also named for National Director, Charles "Buddy" Burney. The first named award was presented in honor of Burney to Oxford DYB at the 2008 NCDYB AA State Tournament at the Cape Fear Optimists Club complex in Wilmington on July 8, 2008. Burney, from Clarkton, has been involved as a Dixie Youth official since the mid-1970s. He served as a District Director for many years and was elected to the National Board in 1999. He was instrumental in the inception of the Scholarship Practice Games in Elizabethtown and Hallsboro in the early 1990s and was the key person in starting the AA (Coach Pitch) Scholarship Practice Games in Clarkton several years ago. Please join the NCDYB family in congratulating Buddy on this well-deserved honor. (Please see earlier News story about Buddy's illness.